Sabio is a professional IT services firm located in Miami Florida that caters to small and medium sized businesses in the south Florida area. Our founder and management team have over 60 years of combined experience working with large companies like Bacardi, Banco Santander, Visa International and many others . As a result of that experience we have perfected our methodologies and invested in technology in order to assist small and medium-sized businesses with reliable, effective an reasonably price IT Support services, It Consulting services, Cloud solutions, Business data backup and many other Small business IT services in the Miami, Coral Gables and Fort Lauderdale areas. We deliver our services by providing your business with a dedicated IT team that manages and monitors all your IT operations. In other words, we take the worry out of managing your technology because we handle it all for you! We can also help your business become more profitable by proactively managing and monitoring your network 24/7 and getting rid of your technology headaches. Our services enable you to run your business efficiently and allow you to focus on your customers and business operations. Our dedicated team will provide you with exceptional and unlimited IT services that make us one of the best IT companies in the industry. We are committed to always follow best practices. I have known Mario for over ten years. 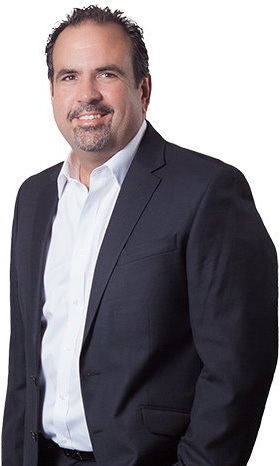 I have been a member of Sabio's Board of Advisors and I deeply admire Mario's strong commitment to provide outstanding IT services to clients. Mario is an accomplished CEO that clearly understands the risks and opportunities of his industry. He has earned his customers, employees and colleagues loyalty and respect through sound leadership skills and exemplary work ethics. I have been working with Mario and his company for several years now. I have been provided great and professional service and I strongly recommend Mario and his company to anyone that needs professional it services. I've known Mario for over 15 years. We've done quite a bit of business together. He's an entrepreneur when it comes to business. He's managed to excel throughout all these years because he provides excellent service and quality work to all his clients. I have worked with Mario for the last 10 years in different engagements with very good results. He takes a personal interest in all his clients and is always there when there is a problem. Mario can hear your ideas and transform them into working realities! He is very accessible and will go out of his way to ensure satisfactory results. His company Sabio, is staffed by an excellent team of IT professionals and has business partnerships with major IT providers. I have worked with Mario over a period of 4 years on a high profile project of great importance. His "out-of-the-box" thinking gave my company a chance to participate in a project that tested our skills. He stood by me and insured that we succeeded. We learned together and grew as a result. I expect in the future to call upon him to do the same as we work in complimentary spaces. He is friendly, affable and competent. I highly recommend him and his company Sabio. I guarantee that no other IT consulting firm in South Florida can touch our 1 hour response time, and our high level of consistent service at a reasonable price. If my team does not “wow” you, you don’t have to pay for the service.